No Slides? No Problem - ProComm Ltd. If you present with any frequency, you know the day will come (if it hasn’t already) when you’ll be asked to present without slides, or the topic or situation doesn’t lend itself to slides, or there is technical meltdown. It’s OK, no need to panic, you can still give a memorable and effective presentation. The first thing to remember is that you are the presentation, not your slides. 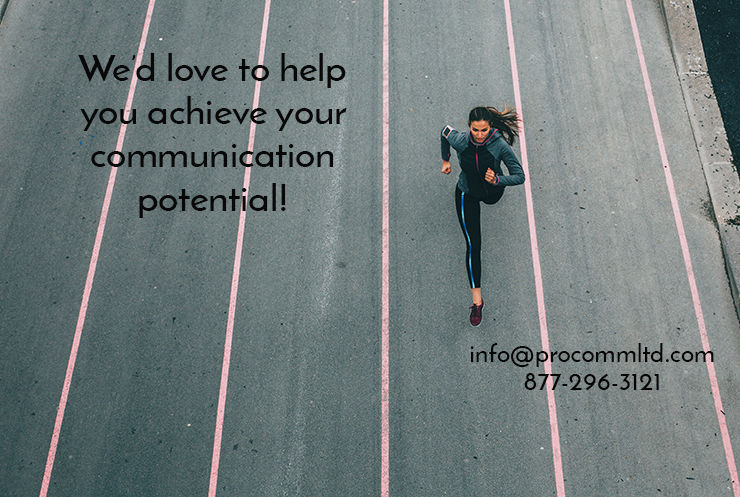 Hopefully, you have had a chance to prepare a listener-focused presentation and have practiced honing your delivery skills: eye connection, pausing, using vocal variety, gestures and purposeful movement. Whether or not you have slides, if you have practiced these delivery skills you will come across as credible, confident and aware of their needs. You will have their attention. If it’s your choice to present without slides – which may be the best choice – you may want to incorporate visuals in some other way, using posters, photographs, maps or other props that are appropriate to the presentation. A whiteboard or flipchart are very useful for visuals and for audience interaction. In small group situations at a table, you can use your tablet as a whiteboard – just Google “whiteboard apps for [your type of tablet]”. Request a flip-chart or a whiteboard in advance. 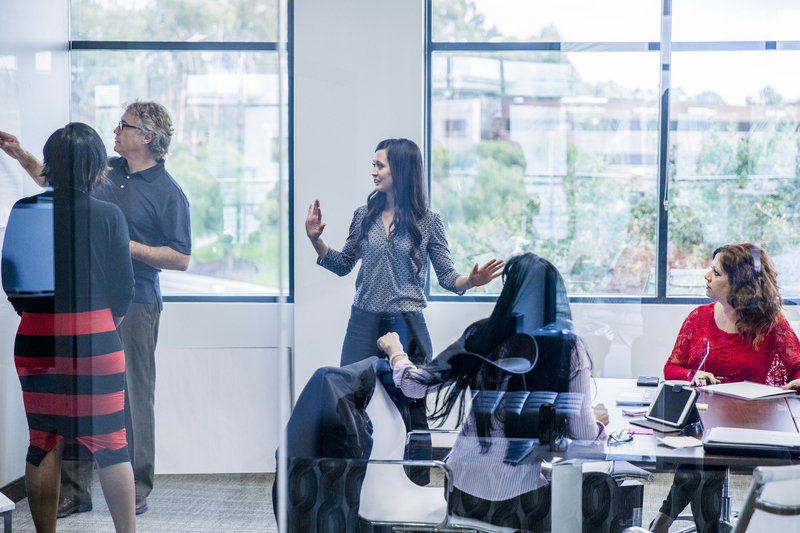 Even if your slides are working fine, taking a break from slides for an interactive interlude in which you ask a question and flipchart the responses will help keep your audience interested and engaged. And if technology fails, then you have an option for visuals. Of course, it may not be your choice – you may have planned for slides and had technical difficulties.This is why you always want to have a Plan B. Have the common adapters for your laptop, especially if you have a Mac. Make sure you know your key points and sub-points well. Have them written down – don’t rely on your slides to prompt you. Use stories and descriptive words to stimulate imagery in people’s minds. Use your voice expressively, use gestures and movement to keep eyes on you, and use longer pauses for dramatic effect when appropriate. Offer any detailed information as a handout or a follow up email, whether you use slides or not. Practice using these tips in advance, in low-stakes situations, so you’ll be confident and compelling in your presentations no matter what curveballs technology may throw your way!